It has only been a few months since Robert Downey Jr. last put on his most famous suit by gracing the big screen in Marvel's mega-franchise Avengers Assemble, and just one year on; he's back! As the synopsis and the new trailer released this morning suggest, this seems to be Tony Stark's most personal challenge yet (don't count on him giving his Avengers pals a quick call for help in this one), setting up a film which should be more along the lines of the original Iron Man and deliberately steering away from Iron Man 2; the overcrowded nature of which didn't know whether it wanted to be an Iron Man sequel or an Avengers prequel - sounds good to me! What do you think? Check out the new trailer below and leave your thoughts in the comments section. 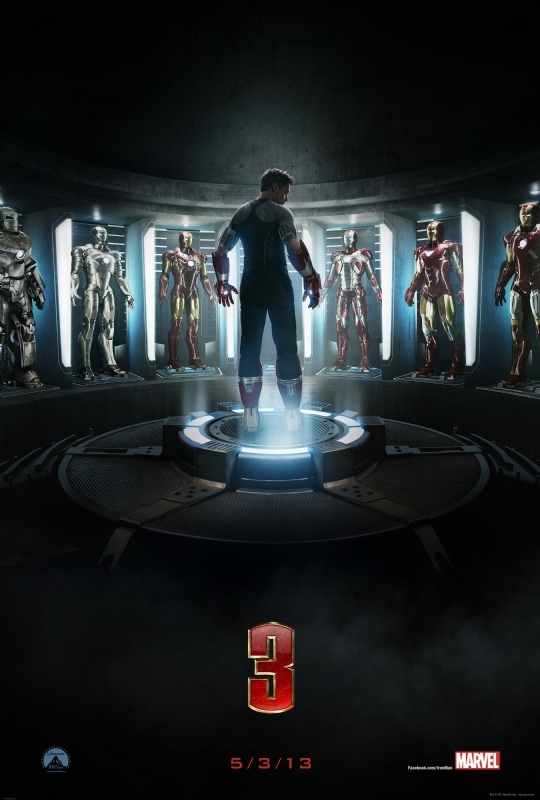 Iron Man 3 is set for release in cinemas across the UK on April 26th 2013. Are you looking forward to Tony Stark's third installment, or is this iron starting to rust? Will it be a blockbuster or lacklustre? Leave your comments below!